Privately held betting giant Bet365 also made some jurisdictional moves this month, albeit it was more like applying a bit of brake rather than slamming the car into reverse. Bet365 has put a temporary moratorium on accepting new customers from Romania and has reportedly told its Chinese affiliates to pump down the volume. 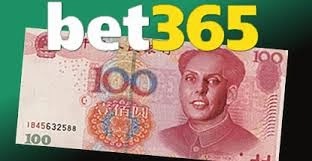 A member of the Bet365 Affiliate Program reported receiving a Chinese-language email informing affiliates that they would no longer be able to “refer new Chinese customers to Bet365 through tracking links.” The notice said affiliates would continue to earn commission on existing customers but any new Chinese customers generated via these links won’t be considered the affiliate’s customers. The policy took effect Oct. 3; the same day The Guardian published an article claiming China’s authorities had previously dealt harshly with locals allegedly working as Bet365 affiliates.